Many of us don’t realise it, but just a short plane ride from Australia’s east coast lies the breathtakingly beautiful islands of New Caledonia. Surrounded by the world’s largest lagoon, this French territory on the waters of the South Pacific is a blend of French chic and traditional Kanak and Melanesian cultures. Adventure and nature lovers take note: New Caledonia is famous for its array of watersports, beaches, hiking and pristine islands. From the cosmopolitan shops and restaurants of Noumea to the lush rainforests and waterfalls and the wild coastlines of Loyalty Islands, New Caledonia is full of surprises. The capital of New Caledonia lies on the mainland, Grande Terre. A great way to experience the locals firsthand is at the morning markets around Port Moselle Marina. Kanak stalls overflow with yams, taro, pineapples and mangoes, and French patisseries offer warm, buttery pastries. This should be at the top of your places to visit, with the world’s largest collection of Pacific art and wonderful exhibitions of Kanak culture. The main drawcard however is the building itself, which stands as one of the finest examples of modern architecture in Oceania. Placed on the UNESCO World Heritage List, the Lagoons of New Caledonia make up 24,000 square kilometres and are protected by a huge 1600 kilometre coral reef. 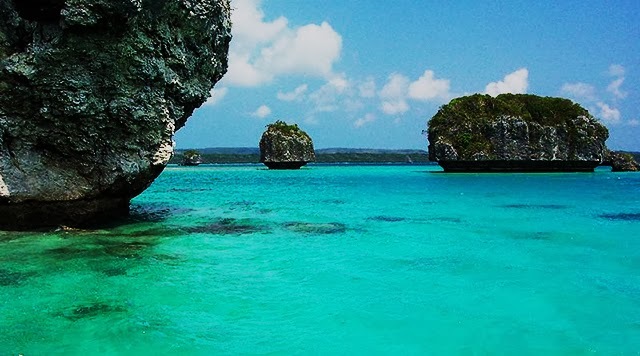 Home to more than 900 species of coral, it is a snorkeling and diving haven. The Lagoons are world renowned for their excellent kite and windsurfing conditions due to unique trade winds. Watch windsurfers from the beach or have a go from one of the many rentals dotted along the shoreline. For a great day on the water, hire a jet ski or charter a yacht to see the local turtles, dugongs and dolphins up close. A mecca for tourists and home to water sports, you can take a short water-taxi ride from Anse Vata Beach to the beautiful islands of Ilot Maitre and Ile aux Canards (Duck Island). Spend the day snorkeling, get up close with the local sea snakes and relax on white sands by the crystal-clear waters. Be sure to take advantage of the fabulous day trips from Noumea. 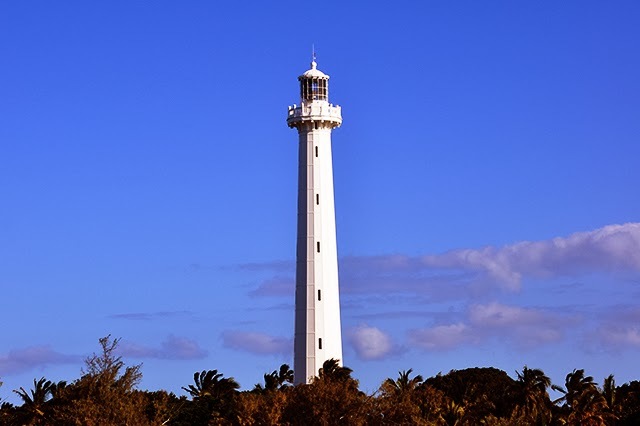 A short 45-minute boat ride from Port Moselle takes you to Amedee Lighthouse. 150 years old and 56 metres tall, it sits on an island surrounded by coconut palms, white sandy beaches and aqua waters filled with coral and teeming with colourful tropical fish. Climb up the 247 steps of the lighthouse for stunning views from the top deck. Lifou is largely untouched by mass tourism, so you can catch glimpses of tribal life, meet locals as you hike through villages or snorkel in its beautiful emerald-coloured waters and coral reefs. Dine at Michelin-star restaurants in Noumea with typical French cuisine, or visit the Baie des Citrons and have a pint of locally brewed Number One beer at sundown with the locals. A visit to New Caledonia is not complete without sampling the local kava. Traditionally a Melanesian drink, there are now more than 200 kava bars in Noumea. Get in touch with your local travel consultants such as Flight Centre if you’d like some help to decide which of the locals of New Caledonia you should visit. Flight Centre consultants have traveled extensively in order to provide you with the most up to date and informed travel advice.